The contest is free to enter and open to all photographers. 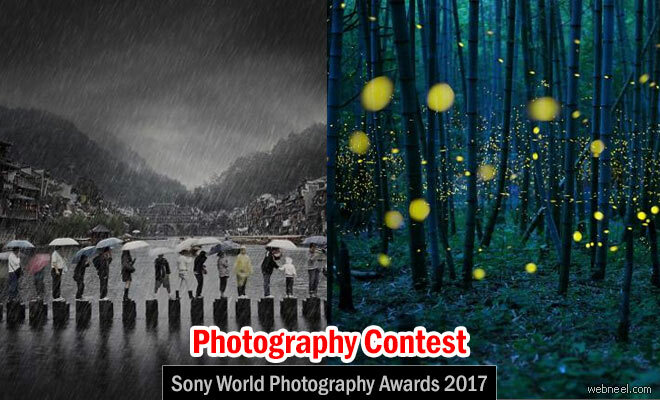 Sony World Photography Award is an authoritative voice in the photographic industry which shapes the career of the winners and all the commended photographers. The selection of winning,shortlisted and commended images are exhibited in Sony World Photography Awards Exhibition to be help in London each spring. - Potential to work with Sony and other partners on a variety of projects. The World Photography Organisation has a thriving online presence and engages with photography enthusiasts and professionals worldwide via its: Website, Blog, Social platforms, International partnerships, Offline events. National Awards - Entries submitted to the Open competition are automatically entered into the National Awards based on nationality (please check if your individual country is participating). Youth - for all photographers aged 12-19, a single image responding to one brief. Student Focus - for those studying photography.